Here are 11 magical Trust places…. 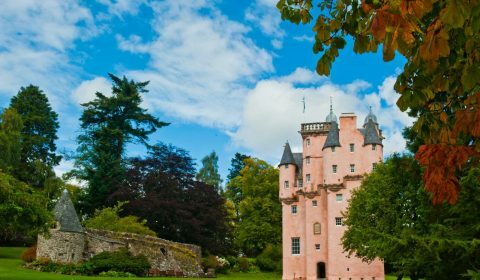 Join The National Trust for Scotland Foundation USA today and you’ll be able to explore these places and much more. 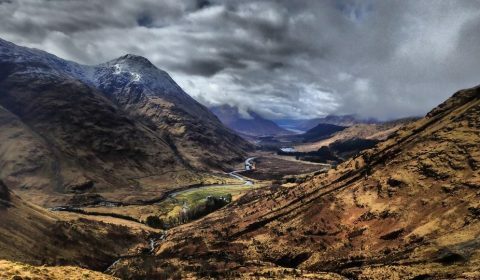 The scenery of Glencoe is regarded as some of the finest ‘wild’ landscape in Scotland, with forbidding mountains, thundering waterfalls and sparkling lochs. A dramatic clifftop setting with lush woodland, landscaped gardens and rugged coastline. 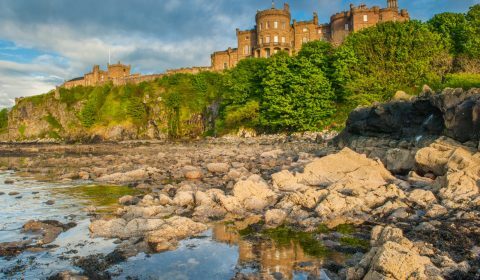 It’s easy to see why Culzean Castle in Ayrshire is one of Scotland’s most popular visitor attractions. 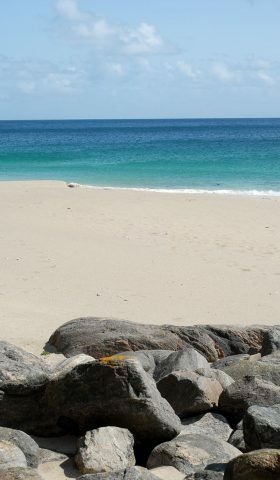 Located at the southern tip of the Western Isles, Mingulay, together with Berneray and Pabbay, has some of the finest coastal landscapes in Scotland. 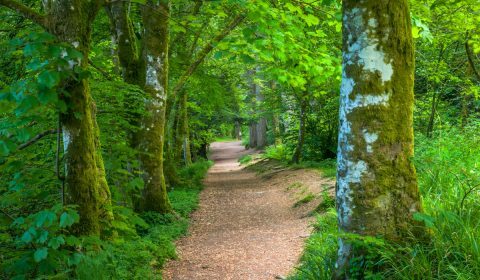 Walk in the footsteps of Wordsworth, Queen Victoria and Mendelssohn as you follow the woodland walk to Ossian’s Hall which overlooks the Black Linn waterfall in Perthshire. This fairytale castle stands just as it did when completed in 1626. The large estate features woodland, parkland and farmland with extensive views over the surrounding Aberdeenshire countryside. 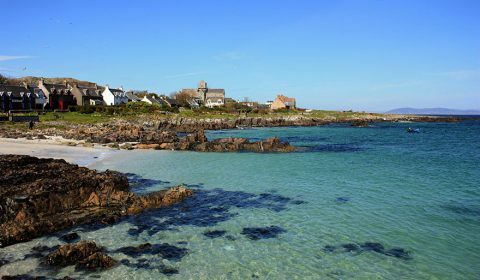 The Hebridean island of Iona has a significant history and a special, spiritual atmosphere that continues to attract and inspire thousands of visitors each year. 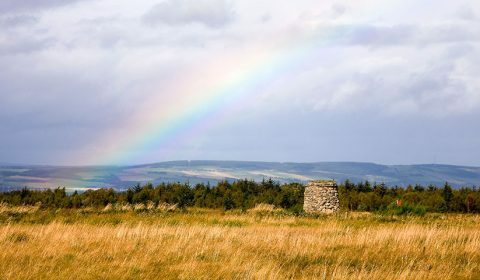 The course of British, European and world history was changed here at Culloden on April 16, 1746. It was here that the Jacobite army fought to reclaim the throne of Britain from the Hanoverians for a Stuart king, dividing families and setting clan against clan. 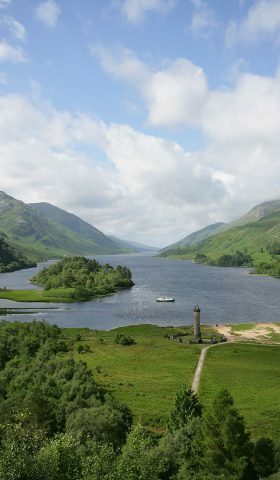 This monument to the final Jacobite Rising stands amid spectacular Highland scenery at the head of Loch Shiel. You should also be able to spot the equally impressive Glenfinnan Viaduct, made famous for its starring role in the Harry Potter films. 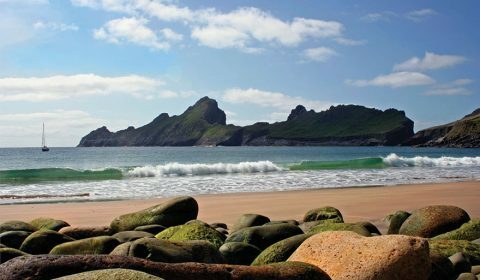 Sometimes described as ‘the islands at the edge of the world’, the archipelago of St Kilda is the remotest part of the British Isles. It was home to a community for thousands of years before the final 36 people were evacuated in 1930. 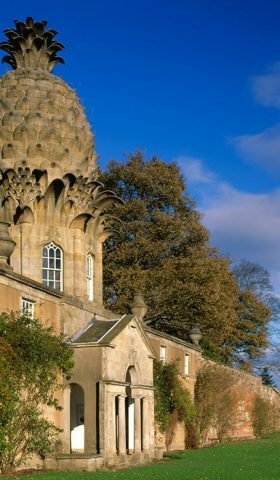 This bizarre structure, in the shape of a pineapple, was built in 1761 as a folly to enjoy the fantastic views. Extensive glasshouses and pineapple pits once grew a variety of exotic fruit and vegetables. Staffa is the stuff of legend. 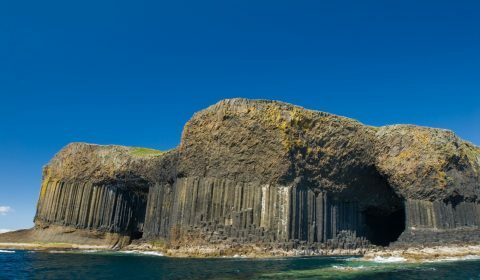 It’s best known for its magnificent basalt columns and spectacular sea caves. The most famous of these is Fingal’s Cave, with hexagonal columns similar to those of the Giant’s Causeway in Ireland.